Rare 1960 Golden Bell six-transistor AM radio. I restored this radio with all brand new electrolytic caps. The audio is clear, and goes to full volume. 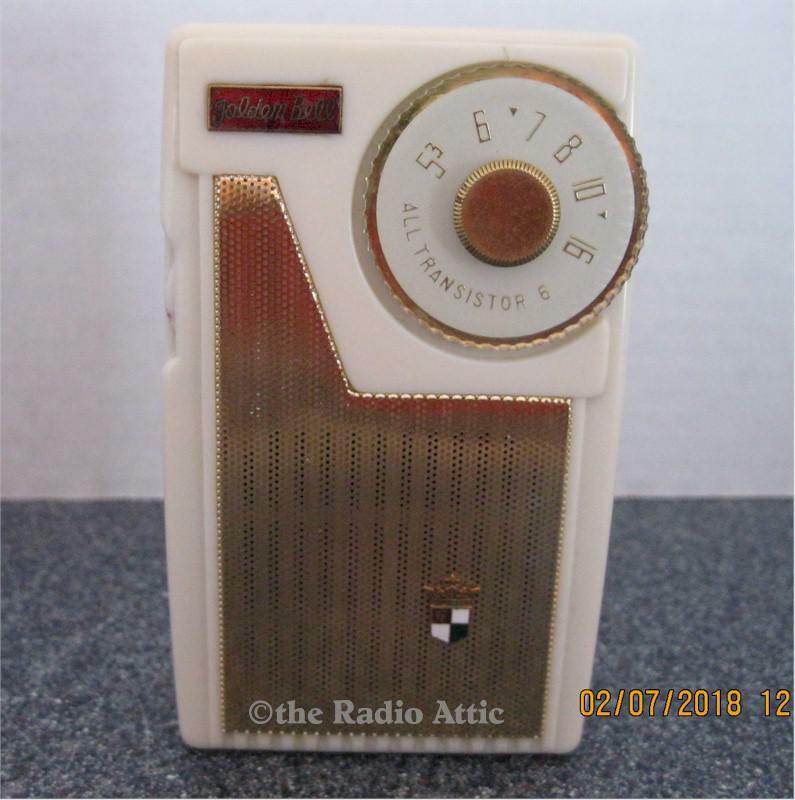 This is a real nice collector radio with the nice dial, and gold grille with shield logo. There are no dents or chips. There was a small crack in the upper left rear, which I repaired, and buffed out; it's almost not visible anymore. It comes with a leather case, which has a broken strap. Radio requires 9 volt battery. I was able to receive lots of AM broadcast radio stations across the entire band, even nite time stations from Canada. This radio is ready for display. Add $8 for domestic shipping. You are visitor number 1,221 to this page.